Behold, lists of all affected SO and Meta SO post ids. Can you please update the HTML snippet in the Flair section with https in the <img src="http://. Since copy & paste the snippet to the About me section, it shows the warning as showed in the #2. 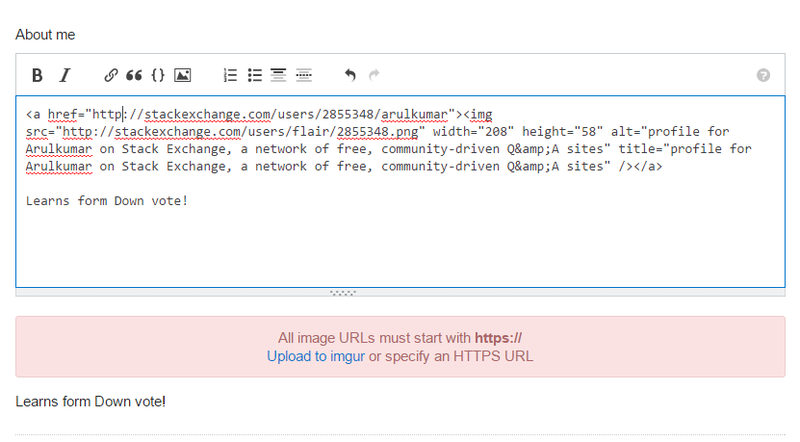 [In] remaining posts with HTTP images [that are not HTTPS-accessible] no Markdown will be affected. 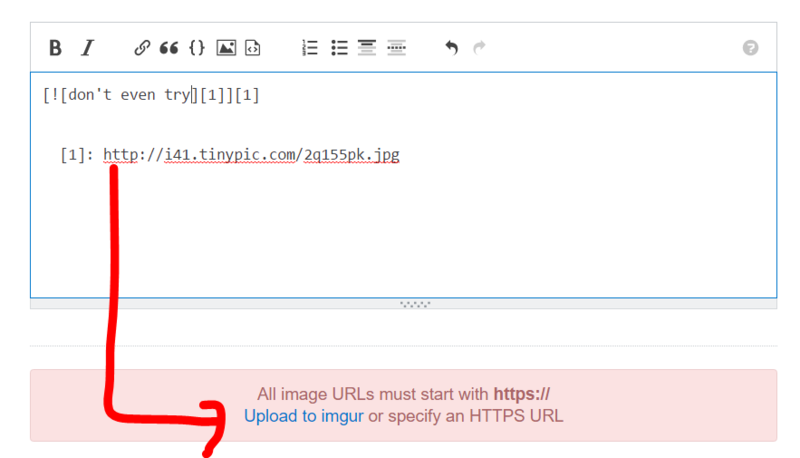 Wait, does that mean when I'm trying to edit an old post that has an old image link (i.e. was not edited by Community), I cannot submit without also fixing the image? Not that it'll likely happen often, but it would be very annoying. Just as Edit to an old question cannot be saved because title too long. Please ensure that images will still be accessible via HTTP after this is rolled out. I frequently use SO at work where I am behind a corporate firewall that has to track and audit what we see. 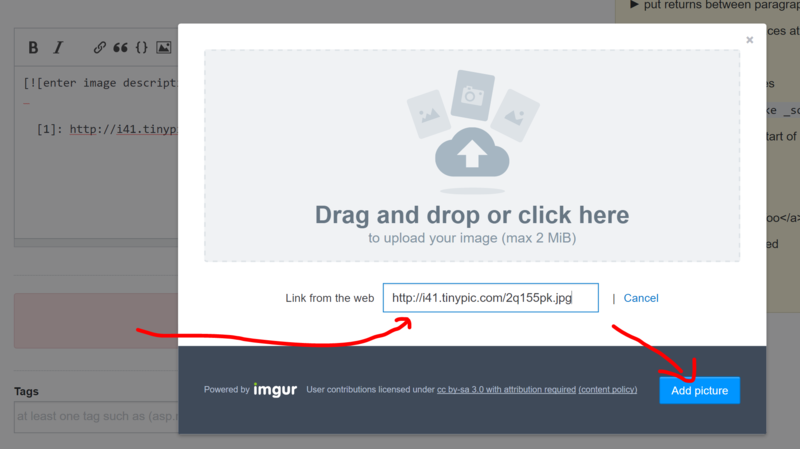 Because of that most (but not all) HTTPS sites are blocked, and that includes imgur. Is Stack Overflow secure even when not using HTTPS? Why is “Meta” in the beginning of Meta SO when it is in the end of other Meta SE Communities? Should protocol-relative URLs be disallowed in profile “About me”? When are we going to get HTTPS only?